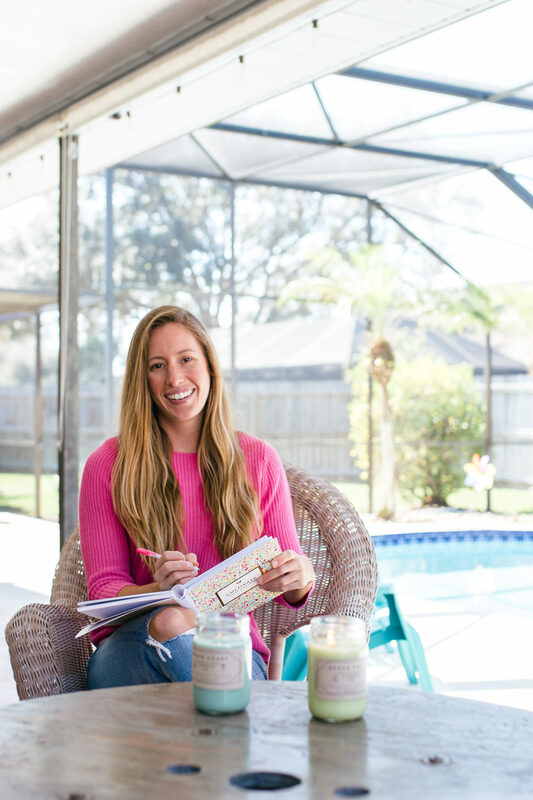 If you follow me on Instagram, you have heard me rave about my Powersheets Intentional Goal Planner! 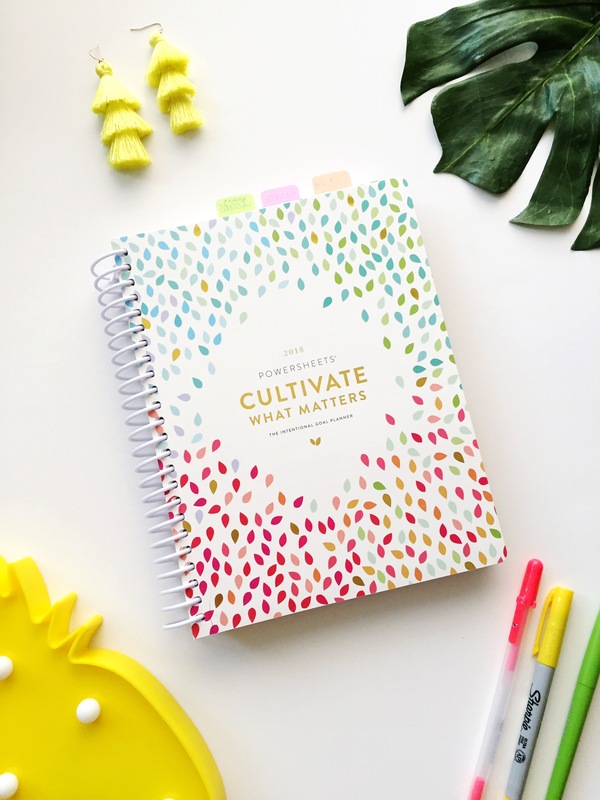 So many of you asked me questions about my planner. 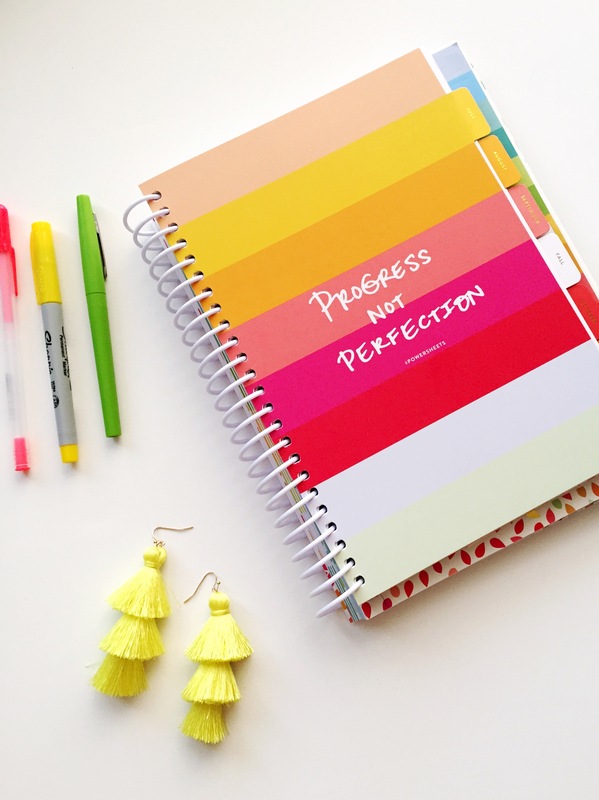 It’s a spiral book that helps me keep track of all my goals for the year. After following Lara Casey for a few years, the creator of Powersheets, she helped me to find a way to love goal planning. 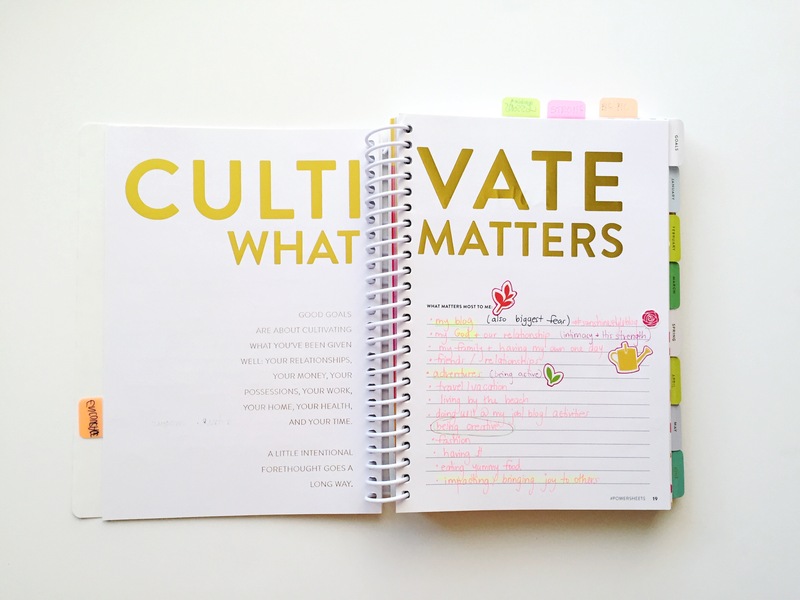 Last year in 2018, I asked for the Powersheets Intentioanl Goal Planner for Christmas and have never looked back! I keep track of all my goals in my goal planner. 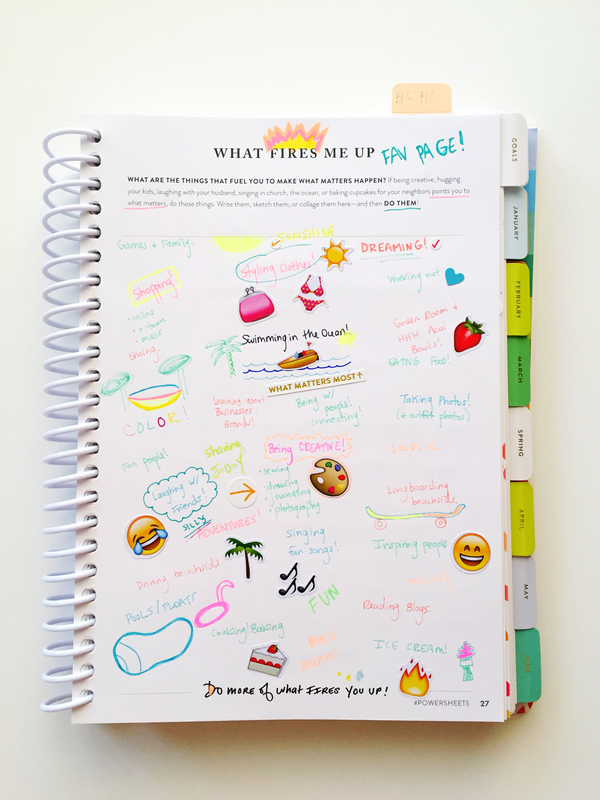 The book is so awesome because it’s so colorful, has a million stickers you can use and goes month by month. The first thirty pages or so helps you dig deep and allows you to discover what’s in your own heart. You can be as open with yourself as you’d like and helps you figure out what you really want to cultivate during a particular season. Seeing my goals written down is life changing!!! It’s been so nice out lately, I have been spending my afternoons and evenings outside on the porch. In fact, I’m typing from my back porch as I type this whole post! 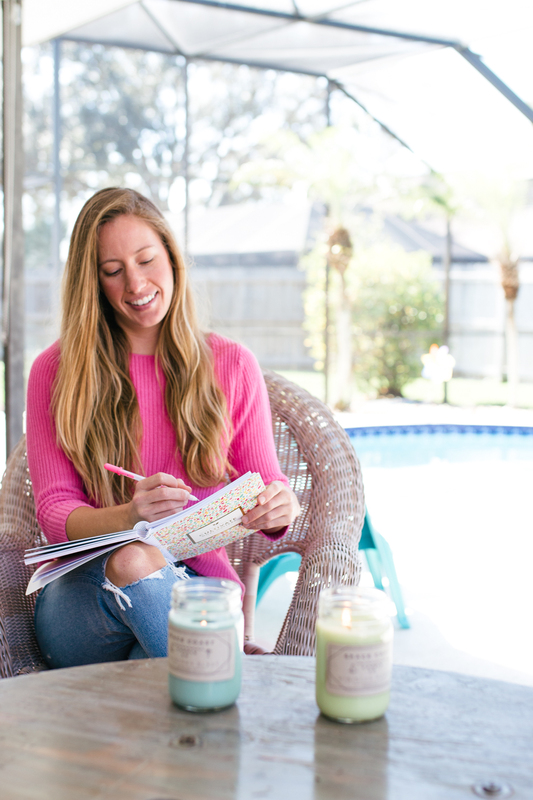 After New Years and traveling, I spent a good week outside writing in my intentional goal planner and figuring out what I wanted 2019 to look like. 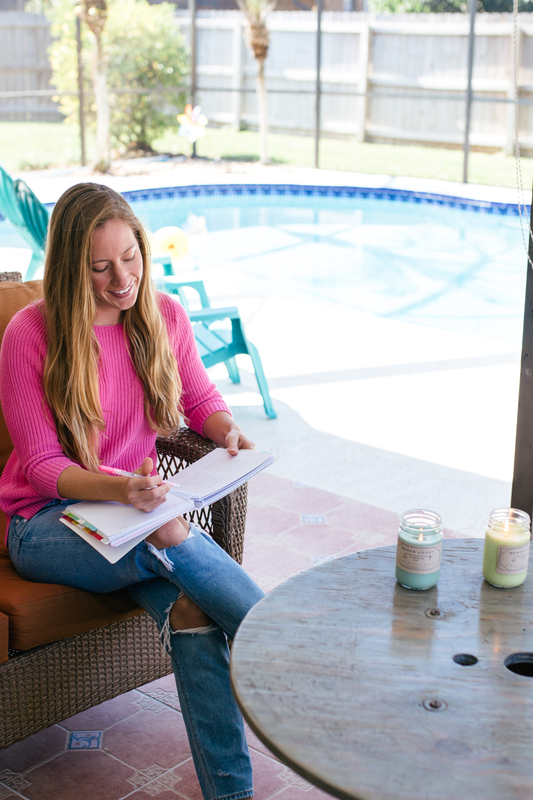 Every time I would head outside, I’d light my new Space Coast Candle Co. candles and enjoy my time outside reflecting on 2018! Land 10 Brand Collaborations // After taking a bunch of risks last year by re-branding my blog, investing in a Mastermind and a course called, The Influencer Academy, I’ve made it my mission to now use what I’ve learned and land brand deals this year! 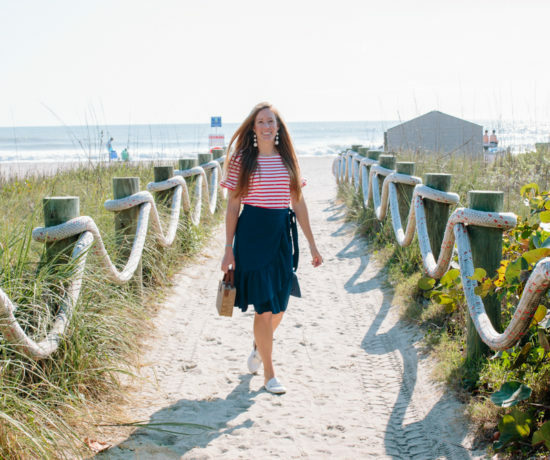 It’s been my dream to work with major brands like J.Crew, LOFT and Target for years! I’m finally in a place where I feel like this dream is so much closer to reaching. I also want to work with brands that allow me to create more lifestyle and travel content for you all! I think it would be so fun to land a brand deal with Royal Caribbean! 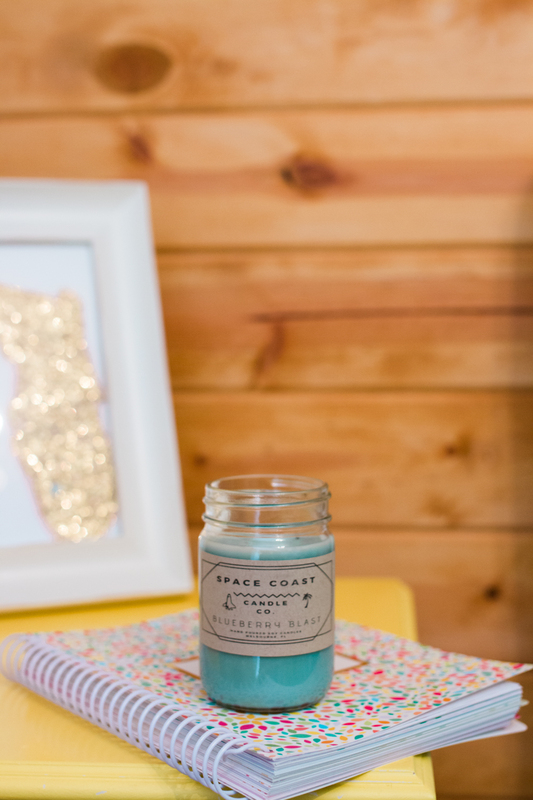 So far in 2019 I have landed one brand deal with Space Coast Candle Co. You can see their candles in this post! One down, nine to go! Visit New Zealand // This one is way more of a dream but I believe in writing down what I want. Last year I had no idea I would be going to Hawaii for a month, so I’m planning big! Plus, trips like this give me hope and excite me for the future! There’s absolutely nothing in my present reality that makes this seem possible. I cannot afford to go, not sure if any of my friends would actually want to travel that far and I need about 2 weeks of uninterrupted work to enjoy the trip! Well see! Here’s to dreaming! 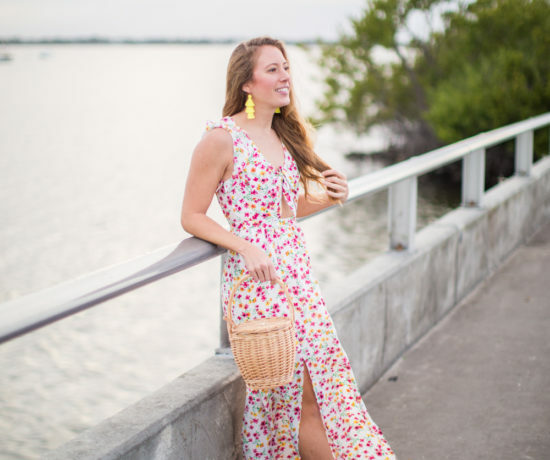 Find a New Job and move to St. Pete // St. Pete has been a dream place of mine to live ever since I first visited a few years ago. I love the mix of city and coastal life and can’t imagine not living by a beach. 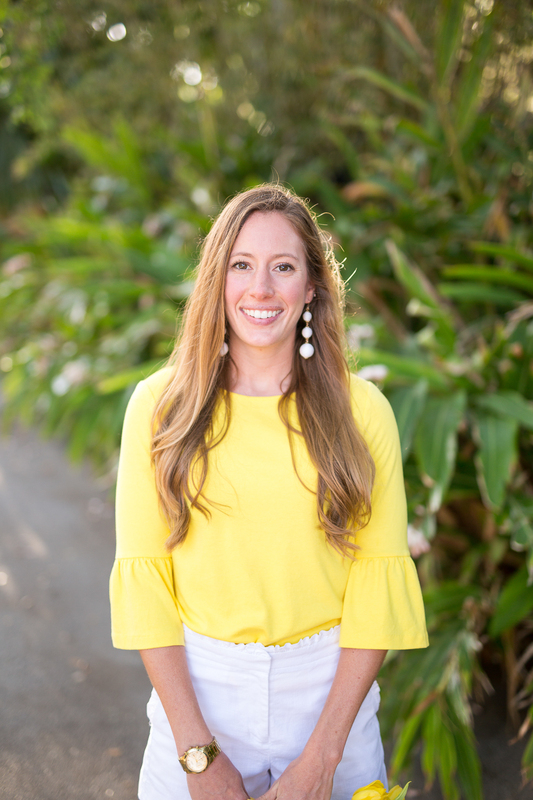 If you have been following along for the past few months, I mentioned here how I resigned from my teaching job and have been subbing until I find a new job. Doors have been slamming in my face left and right for the jobs I have applied to so far. Mostly the ones in my hometown. I’m taking it as a sign and trusting God to go in a new direction. I’m hoping more doors will open in St. Pete for a fun and new adventure! BECOME the Word // My faith is something that is super important to me. This year I don’t just want to read the Bible, I want to become it! Well, become like Jesus. This is something I heard a pastor I follow closely mention in his weekly ministry email. The word become really stuck out to me. You can read something and it goes in one ear, out another. Like all my tests I took in college and HS ha. It’s a totally different story when you are actually changed by it and becomes a part of your life. God is the most loving, patient, caring, kind and non-judgemental person ever! Why would I not want to become like him?! Launch Sunshine Style Co. Products // As long as I can remember, I have always wanted to own my own clothing company. The idea of actually starting one is terrifying. After I re-branded my blog last year, I purposely chose a name I would love to use on my future clothing line. Right now, I am designing a few items that would be ready to launch for Spring Break. While I want to release a clothing line more than anything, I want to stay true to my design aesthetic and love for quality clothing. Parts of me say wait and other parts say just got for it and see what happens. It could be a bit of fear mixed in, but I also know I want to truly love what I release into the world. 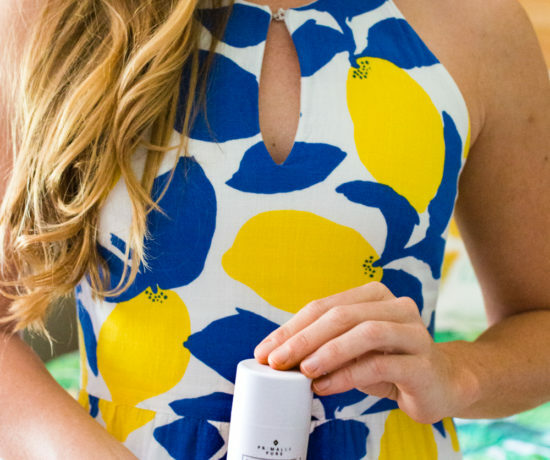 Would Sunshine Style Co. products be something you are interested in? Let me know in the comments! Recite Affirmations/Truth Everyday // Lately I have been meditating on specific Bible verses and listening to Graham Cooke’s Youtube videos on who God sees me as. Their honestly so relaxing and put me right to sleep when I listen right before bed. Maybe I should listen to them a bit earlier lol. I also want to focus on listening to videos on who God is as a person. Our minds are our biggest battlefield. As much as I wish I could say I never have negative thoughts about myself, it’s just not true. Being in such a season of unknown, it’s even more important for me to not just think positively about myself but to know the truth. In the past I’ve tried carrying around a set of note cards everyday with positive affirmations about myself or Bible verses. It gets old fast. Within the next week or so, I just need to sit down and search for videos on Youtube that I can save and listen to on car rides since I drive somewhere just about everyday. I don’t mind if their not Christian videos but it really does sink in better when it’s tied to scripture someway. Push Myself by Taking Risks // I don’t even know what this means but it makes me excited. After a while I get bored with routine and doing the same thing over and over. Last year I remember feeling God nudging me to take risks so I started to step way out of my comfort zone. Most of the risks I took paid off in the long run. There was one particular business risk that didn’t work out so well. It was a live and learn experience but I want to learn to listen more to my intuition this year taking more calculated risks. Especially if money is involved. 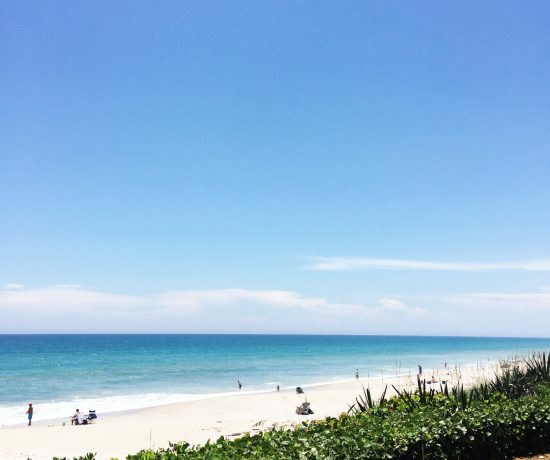 Travel around Florida // Wooo! This goal makes me super excited and is so fun! I really want to land brand deals with a cruise line, so this would help me to travel to the Bahamas or Caribbean! 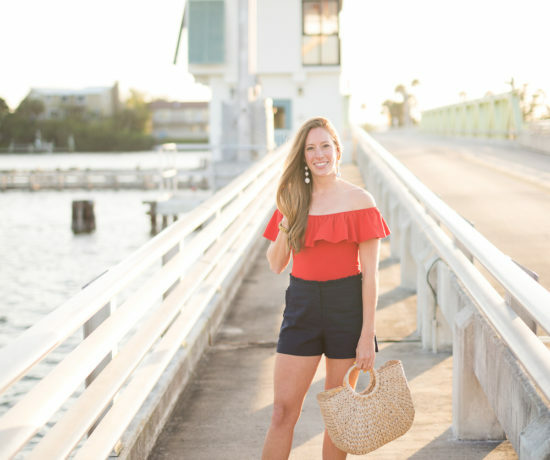 Some of the beach towns I would love to visit are Palm Beach, Jupiter, Siesta Key, Sarasota, the Keys (dry tortougas) and the Pensacola Beach! Most of these places are within a 2-3 hour driving distance, so it makes the goal super easy to reach! Find Loveeeee // Every year I feel like this is always my “goal” or more like a far away dream and constant hope. To find the love of my life. #romanticatheart I have a huge desire to get married and have my own family. Writing it down makes it feel more real and helps give me hope! It’s bound to happen eventually. This year could be my year! Writing it down in my Powersheets Goal Planner makes it seem more realistic. My adventurous, fun and well dressed guy who loves life is out there. He’s looking for me and I’m looking for him hahahha. That sounds like a middle school love poem. Like I mentioned above, I am a big believer in speaking and thinking positive and putting it out into the universe for God to hear! Words hold power! Any other single girls relate to this? Hopefully I’m not alone here ha. Visualize the Life I Want // From a purely Christian perspective, I had a weird perception of words like “visualize” or “manifest” growing up. In my mind visualizing was bad and wrong. Why? Could honestly not answer that, it just was. Over the years my idea of what visualize has changed and it’s actually a super powerful word. When I was searching for my teaching job, I had a very powerful Christian lady tell me to visualize the job I want. I was seriously thinking, “What? I can do that?”. So I started to use my mind and creativity like God designed for us to do. I didn’t exactly visualize myself as becoming a teacher, but it was a start. For me, visualizing positive outcomes for the future is what I’m concentrating on. From what I desire my business to look like, my future family, where I live, my house, how I treat people, my faith in God, what vacations I take, to what activities I do. I’ve seen time and time again people create this life they truly hate or think they have to live. In 20 years, I want to be living a life I love and also like the person I have become. It’s so freeing to know we have the power to choose and can visualize positive outcomes for our future! Use code Sunshine at checkout for 10% off your order! I have the blueberry (my fav) and Hibiscus scent. Shop the candles here! Do you have any fun or exciting goals for 2019? Let me know in the comments!